Is 2017 the time to invest in a holiday home in Spain? According to recent studies, the property market in Spain is currently experiencing a boom. If you have been considering investing in a holiday home in Spain, right now could be the best time to do so. Spain is the world’s third most popular tourism destination, surpassed only by France and the US, which makes it an obvious and attractive destination to invest in a holiday rental property. Prime destinations such as Barcelona, Marbella and Ibiza will rise considerably in the short-medium term, but in most cases the rise will be modest. The popularity of the Spanish tourism market, coupled with low prices for quality properties, makes Spain one of the most viable destinations to invest in a holiday rental. Tourism occupancy in Spain: Catalonia was the most visited region during 2016. The Canary Islands, The Balearic Islands and Andalusia have also had great results. Holiday rental homes are one of the most profitable investment options in Spain within the tourism industry. Areas with close proximity to the coast and larger capital cities are among the locations which offer the best opportunities for investing in a holiday home. Spain-Holiday took a look at the pros and cons of an investment property in Spain for use as a holiday rental in the best tourist destinations. Spain ranks as the third most visited country in the world, preceded by France and the United States. It ranks just after China and the USA in annual tourism revenue, with USD 56.5 million according to the World Tourism Organisation (UNWTO) report from 2016. Approximately 75 million tourists visited Spain last year. The tourism sector beat records in 2016 with an increase of 10.3% of visitors compared to 2015. The main customer group which visits Spain and chooses to stay in a holiday rental is families, with the majority coming from northern Europe. This is because families want a comfortable holiday home that gives them more freedom to enjoy their chosen destination. In 2016, the majority of Spain’s tourists came from the United Kingdom (879,152), about 22.1% of the total. France (+ 6.5%) ranks second with 603,901 visitors, followed closely by Germany with 454,403 tourists (+ 13.3%). Foreign visitors spent more money in Spain than they did in 2015. British, Scandinavians and Germans spent 9%, 8% and 3.6% more, respectively. On the other hand, the expenditure of the French decreased by 3.5%. Investment property - Should I invest in a holiday home? Yes, holiday rental homes are one of the most profitable investment options in Spain within the tourism industry. According to the Tinsa report of 2016, the stock levels of housing in Spain has decreased, as a result of the economic crisis which hit in 2008 the construction industry has slowed in development. During the past decade, the main stumbling blocks for this industry have been the fear of further losses from international investors along with the government’s financial aid cuts. The Spanish coastline is the best place to buy a holiday home in Spain, where the buying and selling of holiday properties is experiencing a resurgence. The Spanish Ministry of Development (Ministerio de Fomento) notes that there are eleven municipalities where the buying and selling of holiday property has increased by at least 50%. Alicante and Castellón on the Valencian coast and Cadiz and Malaga in Andalusia are the regions with the highest trend in the activity of buying and selling houses for holiday purposes during 2016. Areas with close proximity to the coast and larger capital cities are the locations which offer great opportunities for investing in a holiday home. The coastal regions in Andalusía - Costa del Sol, Costa Tropical and the Costa de la Luz, are home to several of the most popular tourist destinations in Spain. The year-round mild climate and easy access bring tourists from all over Europe and beyond. 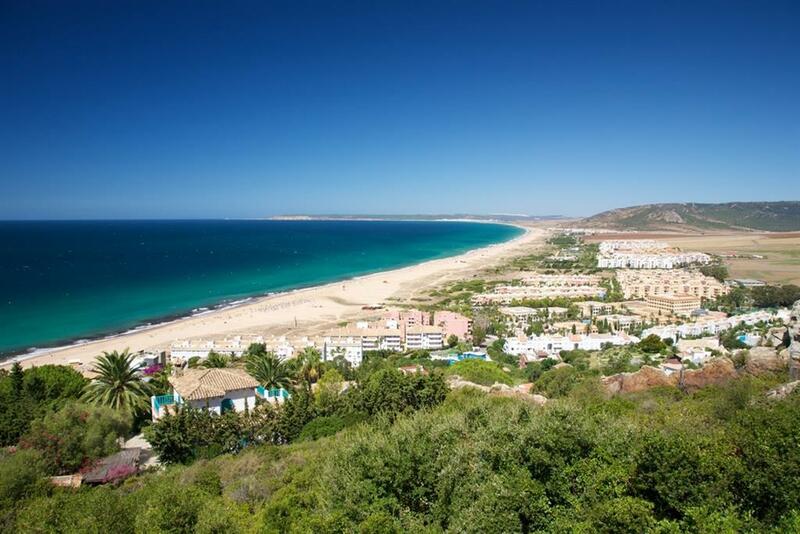 The region is both a winter and summer sun destination; attracting sun seekers, golfers and long term winter break renters which makes Andalusía a top region for property investment and setting up a holiday rental business. Property prices:The drop in property prices in Spain have been slowing steadily over the last couple of years and in the most popular regions – such as the Costa del Sol – prices in some areas have actually begun to rise again. There has been an increase in the number of buyers, especially from northern Europe, who are once again travelling to the coast and searching for a property. Flight connections: Flight connections to the Costa del Sol come into Malaga International Airport from over 100 destinations. Visitors to the western side, also have the option to fly into Gibraltar on airlines such as British Airways, EasyJet and Monarch. It’s easier to fly into Granada if you’re visiting Almunecar and the Costa Tropical. However, there are less flight options and many travellers still prefer to fly into Malaga International Airport and make the 90 kilometre/1 Hour and 10 minute drive to their destination. Holiday Rental Licences: It’s essential to have a holiday rental licence in Andalusia in order to start your holiday rental business. Check everything you need to know here. Barcelona is the single most popular destination in Spain and remains top of the favourites year after year. And that’s across all enquiries, from all nationalities. It’s safe to say that if you are researching property locations, then Catalonia is one of the soundest regional markets to consider. The provinces of Tarragona, Barcelona and Girona are as diverse in character, as they are rich in culture, activity and gastronomy. Holidaymakers can choose between more established and built-up modern resorts and the sleepy, old-world fishing villages that dot the coastline. Set in the north-east of the Iberian Peninsula, Catalonia is definitely not a winter sun destination, like Andalusía. However, if your holiday rental is located in or around Barcelona, you should enjoy all-year-round culture and city break travellers. Sitges (photo above) is another cultural and party destination, that attracts all-year-round tourists. Property prices: Some media have argued that Catalonia’s bid for independence could affect its housing market. However the region, especially Barcelona, is still a magnet for foreign buyers, who are investing the high-end and high value properties in Barcelona city. Yet, whilst prices in the capital remain high, the rest of the region is moving at a much slower pace. The Costa Brava is a popular destination for foreign buyers looking for a holiday home getaway and there is still a lot of value in investing in a holiday rental in the region. Flight connections: There are three main airports in Catalonia: El Prat Airport for Barcelona, Girona-Costa Brava Airport and Reus Airport for the Tarragona/Costa Dorada region. You can also take the high speed train and be in Paris in six and a half hours. Holiday rental licences: You can and must apply for your holiday rental licence in Catalonia. For the most part, regulations are fair, although the cost of applying for a licence in Catalonia differs by local council. In Barcelona city, a freeze has been applied to the issuing of holiday rental licences, so if you are considering renting out in the capital, you won’t be able to 'legally' rent out your holiday rental - for the foreseeable future. The Autonomous Community of Valencia and particularly the coastal region of the Costa Blanca, is Spain’s third most popular tourist region, according to holiday rental enquiries on Spain-Holiday.com. It’s an ideal family-friendly destination with miles of sandy beaches and plenty of activities for holidaymakers, including theme parks, golf and a wonderful countryside to explore. Like the the Costa del Sol, the Costa Blanca attracts all-year-round tourists, who come for winter sun, golf and half-term break holidays. Property prices: Although prices are still low in most of the region, demand is high - the north coast of Castellon and Valencia province were two regions with a highly buy and sell activity during 2016. A decent property can be fully booked throughout the high season and an owner can earn a similar amount as a long term let for this period alone. If you can find a property at the right price, you will make some money in the rental market here, but the best bargains are gone, certainly in the 3-bed villa bracket. Flight connections: Alicante-Elche International Airport cites the fact it’s just two hours from all European cities. And flights come in and out from over 100 destinations. Holiday Rental Licences: You can apply for your holiday rental licence in Valencia. How much can I earn from a holiday rental property? Let’s pretend you have already invested in a holiday rental home and you did so in one of the areas mentioned in the above infographic. These are the average rental incomes per week for a holiday rental home in the regions that are currently advertised on Spain-Holiday.com. Rental yield can fluctuate based on location, property size and facilities included (private pool, A/C, wifi, etc) as well as associated costs such as energy expenses, the cost of maintenance, demand, etc. In addition, you should consider the cost of applying for a licence and tourism tax, if applicable. Don't forget the location-specific requirements such as licences and local taxes for your rental property. It's important to focus on quality and the best locations possible. There is still a lot of property for sale that has no demand - stuff that was built during the boom in undesirable locations. Some of it's not worth buying however cheap and prices in that segment will only go down further. Quality does not necessarily mean high-end. Quality means the best locations and features in different price brackets. So whether buying in Mallorca or Torrevieja, go for the best areas and features available. If you are buying to rent, make sure the property has its Licence of First Occupation. Without which, you will not be able to apply for a holiday rental licence. When doing your maths, make sure you take into consideration that you will have an obligation to pay tax on your holiday rental income. Learn more about your holiday rental tax obligations in Spain.